Humans have been examining their ancestral roots for centuries. Whether to track royal lineage or to connect themselves to the Bible, genealogy has been a prominent part of human history. But what use does it have in the modern day? Read on to learn more about modern genealogy, and benefits of knowing your roots! Also known as family history, genealogy is both the study and practice of tracking family history and members. Professional genealogists use many methods while studying families, including examining historical records, interviewing living family members, and genetic analysis. The main goal of most genealogists is to build as detailed and complete a family tree as possible, which is depicted as either a chart or a written narrative. The field of genealogy developed largely from the oral traditions that were prevalent prior to the development of written records. Oral genealogy was typically just a recitation of ancestors, and kings would often have bards recite their ancestors during their coronations. However, as written records began to develop, the traditional family tree diagrams also began to grow and gain popularity. 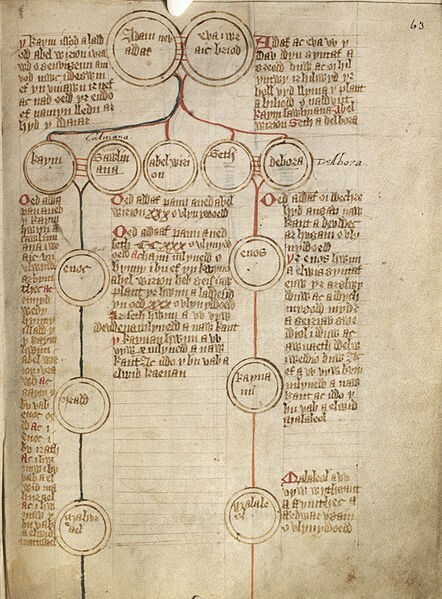 A Medieval genealogical tree that attempts to trace lineage from the Biblical Adam and Eve. Public Domain Image via Wikimedia Commons. These early family trees often attempted to connect families with royal or well-to-do ancestors, and to preserve the royal lineage of several countries. For example, in Scotland genealogical trees helped to clear up medieval claims to the Scottish throne after the death of Alexander III. These early genealogical trees were often included alongside records of business transactions, lawsuits, and other monetarily-relevant information. Today, genealogy isn’t limited to just royals or professionals – thousands of amateur genealogists trace their own family history through online and print resources. Genealogical research in the United States first became popular during the early 19th century, and has continued to be a subject of interest for many since. While many amateur genealogists simply trace their personal family history online, enthusiasts have formed many groups, like the New England Historical Genealogical Society (NEHGS), which was formed in 1845. You could learn something important about your health: With recent developments in DNA testing, professional and amateur genealogists alike have been including DNA analysis in family trees. This not only helps people to learn about areas of the world they weren’t aware they came from, but also to apprise themselves of genetic diseases they might be predisposed to, such as heart disease, diabetes, or various types of cancer. 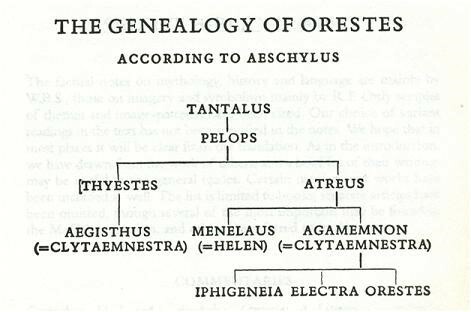 The “family tree” of Orestes, from Greek myth. Public Domain image via Wikimedia Commons. You might discover lost family members: An added benefit of researching family lineages has been the possibility of connecting with family members that you were previously unaware of. Many people have found siblings, cousins, and even biological parents that they were previously unknown to them, just from exploring their family trees. Children will form a greater sense of self-identity: Multiple studies have shown that children who know more about their family history will actually have a higher self-esteem, and feel better able to handle the adverse effects of stress. Genealogy can help to connect a child with their past, and build a sense of identity. In addition, it helps to interest kids in historical events, as they can create a personal connection with them. You can preserve the legacy of passed family members: As family members pass away, children and future generations can forget who a person was in their lifetime. Creating detailed genealogical trees can help to preserve not only the basic birth and death of a family member, but also provide some clues to a person’s life, including their profession, their familial connections, and even their friends. Lastly, we think the greatest benefit of studying your personal genealogy is connecting you with your own heritage and history, and creating a picture of what makes you who you are. Learn more about your heritage with some of the books below! Have you ever created a family tree? Let us know in the comments!